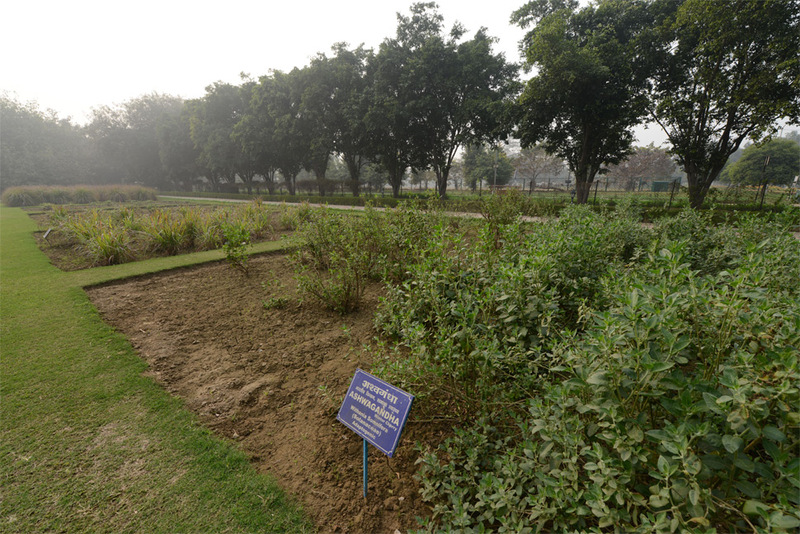 President Kalam’s vision to promote natural remedies led to the establishing of the Herbal Gardens with the help and supervision of the Central Institute of Medicinal and Aromatic Plants (CIMAP).Around 33 medicinal and aromatic plants depicting their use are planted in these gardens. They include, Ashwangdha extensively utilized in treatment of various diseases such as leprosy, nervous disorders, venereal diseases, rheumatism and as a tonic for all kinds of weakness and also to promote vigor and vitality; Bramhi that is used in the treatment of mental disorders like epilepsy, insanity and memory loss; Evening primrose, the oil of which is widely used as a dietary supplement, for cosmetic purposes and for the treatment of atopic eczema in the pre menstrual syndrome; Menthol mint, that is widely used for flavouring toothpastes, mouth washes, chewing gum, beverages, confectioneries and also in cosmetic preparation. Menthol is also used in medicines like pain balm, analgesic creams and cough syrups etc. Other important plants include Stevia, which provides safe sugar for diabetics, Isabgol,Damask Rose, Tulsi, Geranium, Lemongrass etc. 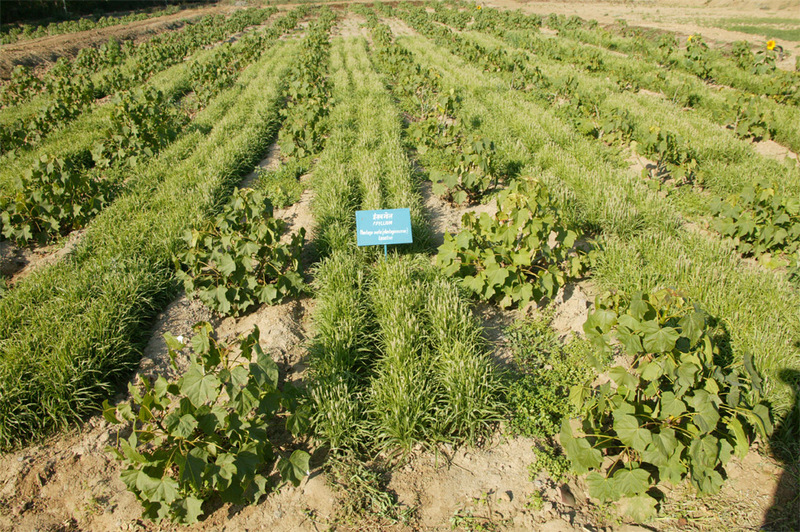 The benefits of each plant variety are indicated next to the bed in the garden. Farmers are invited to visit the gardens so that they are encouraged to grow medicinal and herbal plants which are becoming extensively remunerative and beneficial to the society. 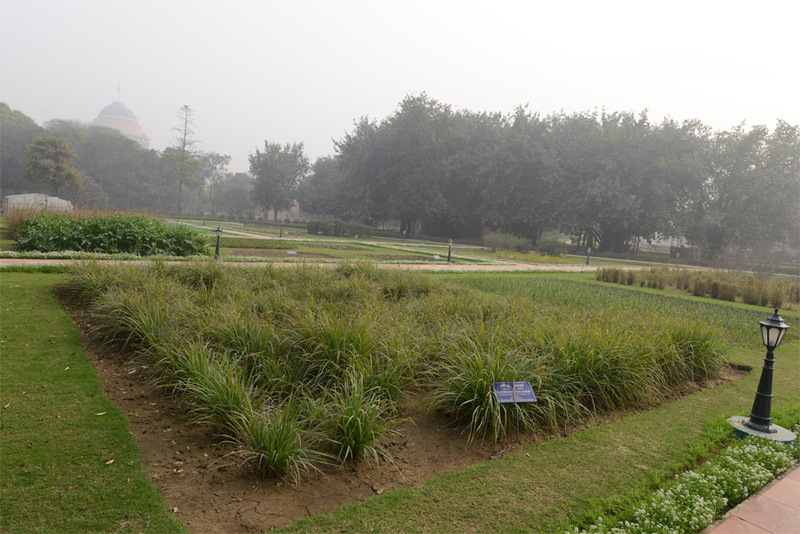 Second phase of the Herbal Gardens was set up soon after phase one with the help of the National Botanical Research Institute (NBRI) and the National Medicinal Plants Board. This garden has trees, seasonal and perennial plants and shrubs of importance. 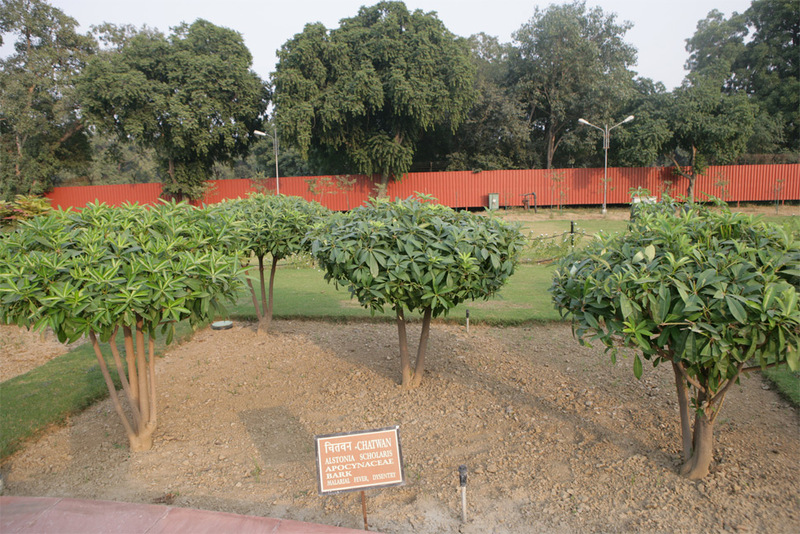 They include Bel tress, Jamun trees, Harra and Baheda trees, Chandan, Amla, Neem and many more. Tejpatta, Kapoor, Hadjod, Datura, Laung and Dalchini are also grown in this garden. The AYUSH Wellness Clinic (AWC) has treatment facilities in streams of Ayurveda, Yoga, Naturopathy, Unani, Siddha and Homeopathy for holistic healing and therapy. 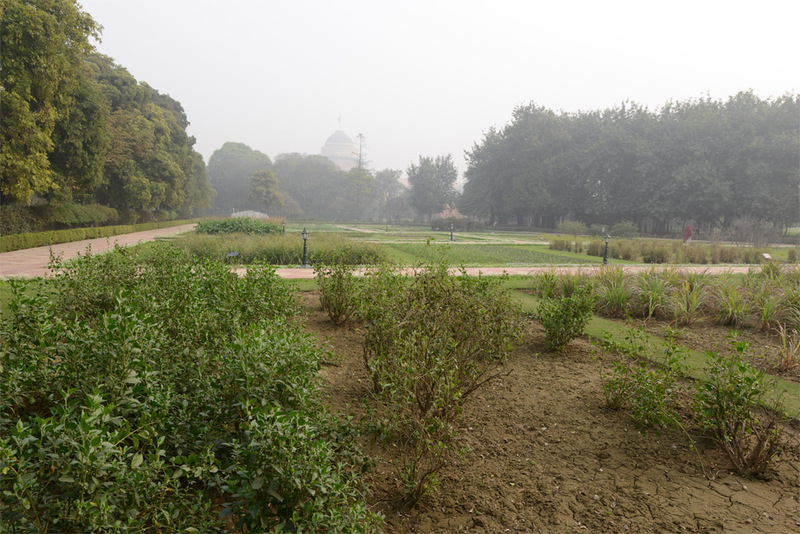 To support this initiative of the Government of India, the herbs of the Herbal Gardens of Rashtrapati Bhavan are being made available for use in different Ayurveda and Unani therapies for the AWC.